Height: As 2 year old 14-2. WineGlass Dafni has a pedigree filled with performance, talent & disposition. She moves like a dream. 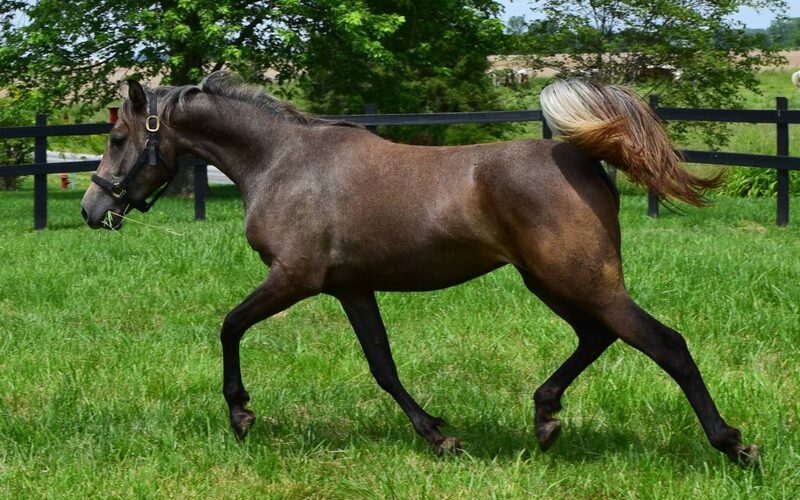 Her sire, Shagya-Arabian stallion *KS Rubin has a list of accomplishments too long to mention but can be seen on his website http://http://www.ksrubin.com. He and is progeny excel in any sport you desire. Rubin himself is an highly award endurance stallion and is starting his second career as an elegant dressage horse. 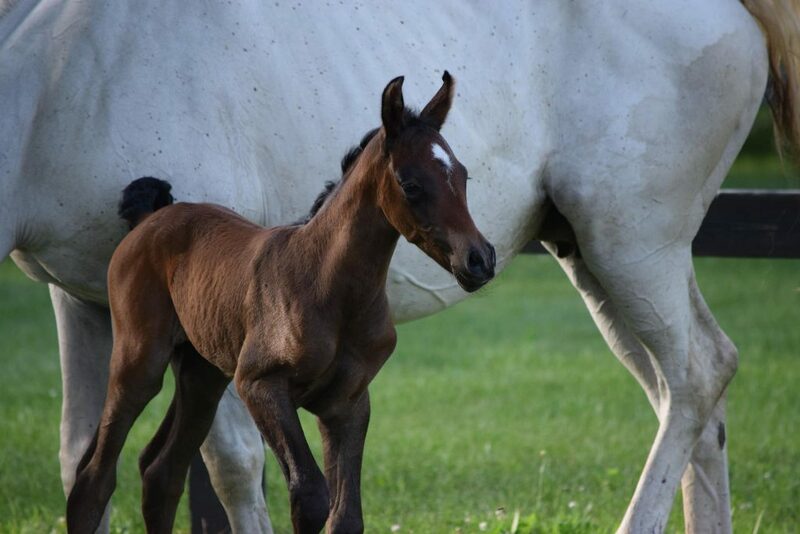 The dam of Dafni is the ShA Book I mare WineGlass Diva by the ShA stallion *Budapest. Full brothers to Diva are also awesome athletes with accomplishments in endurance, competitive trail, dressage, jumping and as a trusted police horse. Dafni is a late foal but is catching up quickly with her older age group. She has an outstanding neck and excellent gaits. She will be grey. 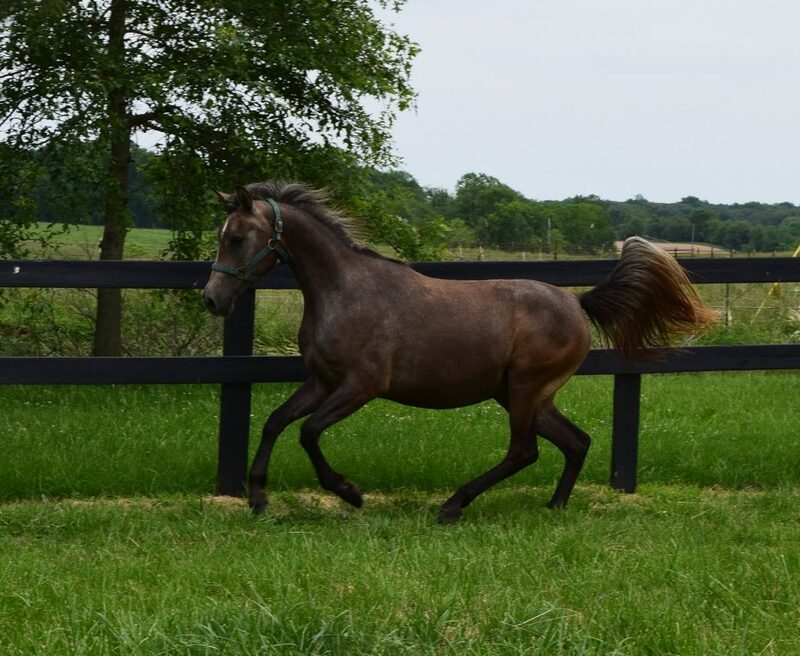 Her pedigree places her in Book I as a Shagya-Arabian mare.